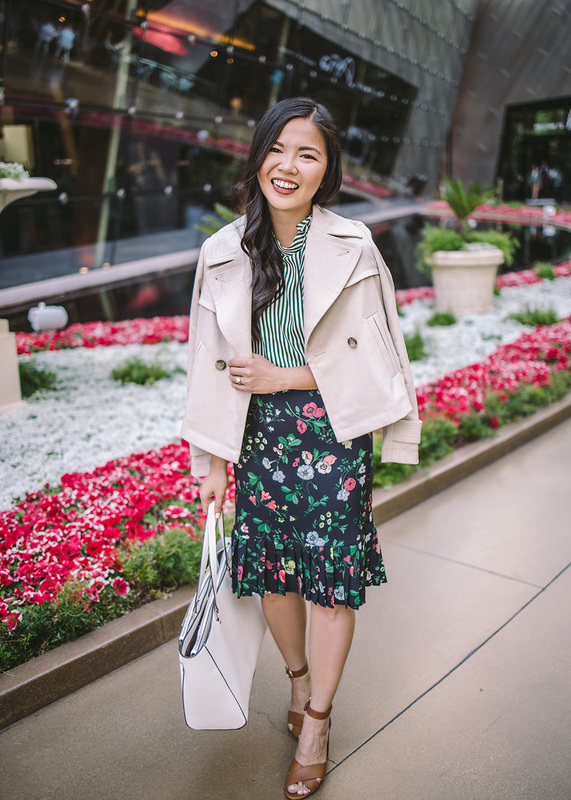 Today, I’m partnering with Ann Taylor to rock my favorite look for work – mixed prints. 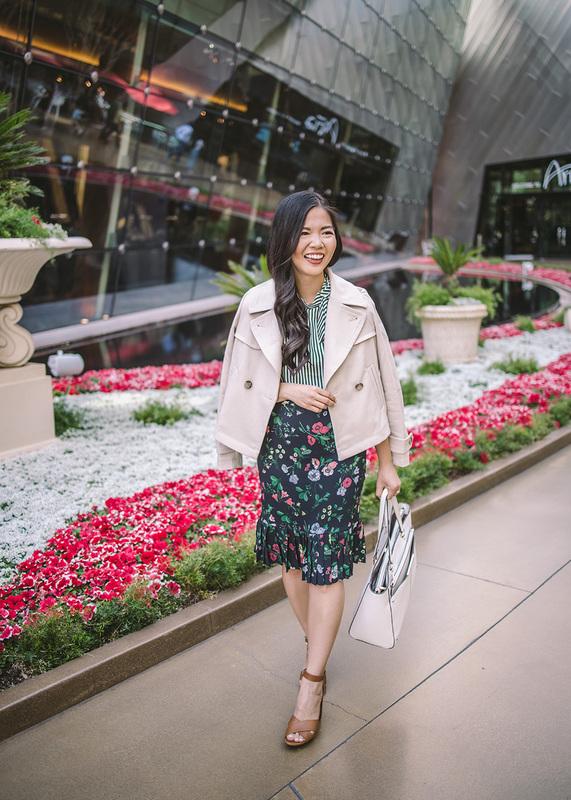 Ann Taylor has so many beautiful pieces for spring and when I saw this top and this skirt, I knew that would make for a perfect print on print pairing. Are you a mixed prints master or are you still figuring out how to dabble in this duo? 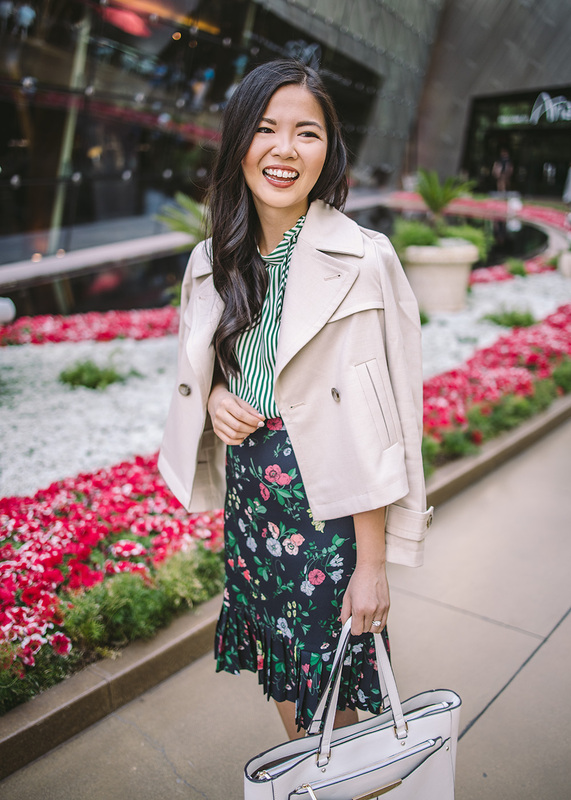 I’ve loved mixing prints since day one, and stripes and florals have always been my go-to combo. I think if you’re going to start out somewhere, let this be the first pairing you try. Stripes are typically a safe bet – the simple, clean lines make for a great foundation and won’t compete too heavily with your secondary print. Florals on the other hand are a little bit more complex, and in turn way more aesthetically interesting. 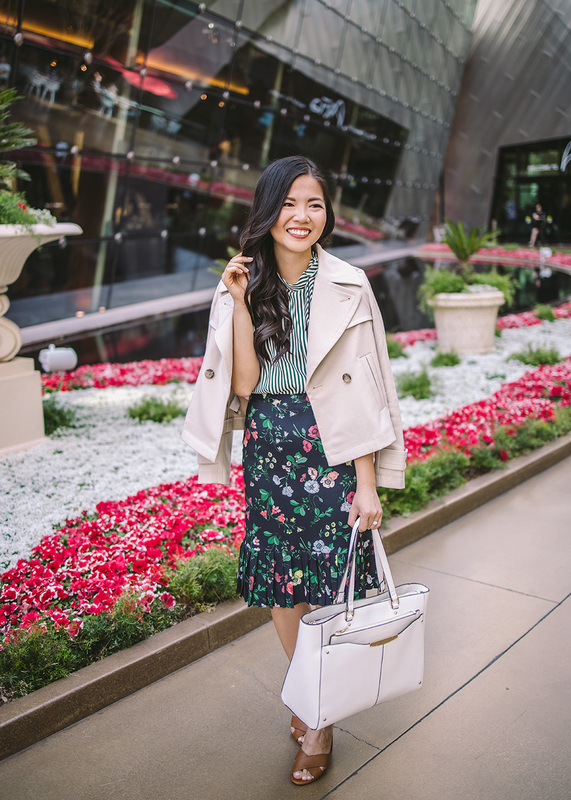 This floral skirt is a great print to mix with because of it has so many colors to pair back to. 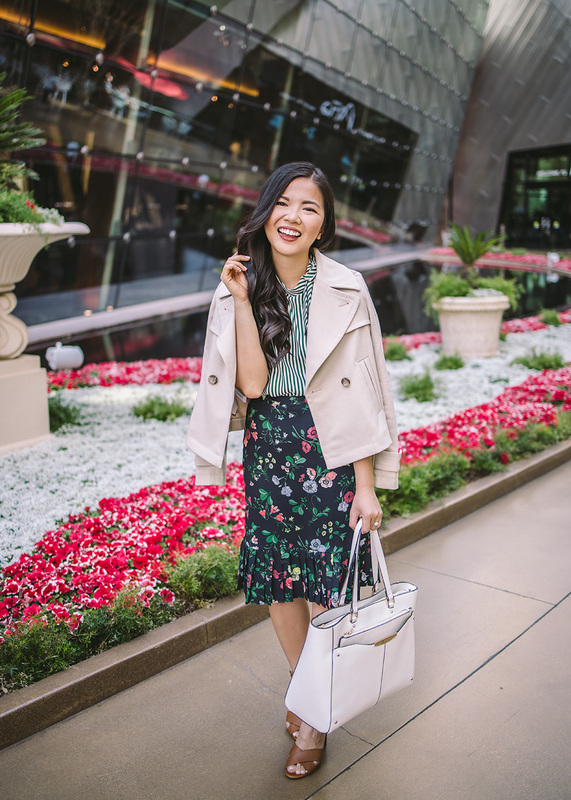 When in doubt, make sure there’s a matching color in both prints – that small similarity will help your two very different prints feel connected to each other. Thank you Ann Taylor for sponsoring this post! This is mixed prints done well! Such a cute look! I talked about mixing prints last Friday too! I always see people mix prints and look amazing and then I go in my wardrobe, try to do the same and end up looking awful. Your outfit looks gorgeous, you did it beautifully. So pretty! Love how you styled these patterns together!